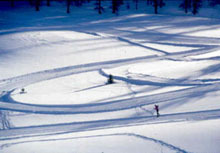 One of the smaller legs of the Milky Way spider (400km of lift-linked runs), Clavière offers access to the French resort of Montgenèvre. It is Italy's oldest resort and in the words of one visitor is 'a genuine Italian village with lots of charm', although in modern times, the resort's proximity to the Montgenèvre pass offers both advantages and disadvantages. This is a great place to stay for a more peaceful entry to the massive ski area. There are only ten hotels, a few shops and restaurants and very limited nightlife. Set in a wooded spot, this is a relaxed, quiet resort that favours intermediate cruisers. Beginners will find the steepness of the nursery slopes rather unnerving and better skiers will have to search for real challenges. 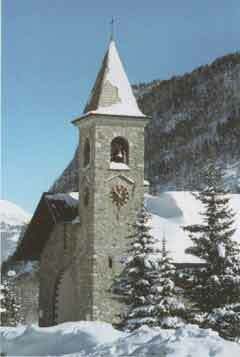 As with most Italian ski resorts, Clavière offers superb value, while the locals are very hospitable. Just enjoy the skiing, the tranquillity and the slight surprise that it's only 90 minutes to Turin airport. A charming small resort which links into the Milky Way.